Kingsley Davis: Population Policy, Will Current Programs Succeed? Kingsley Davis is listed prominently at the bottom of the Jaffe Memo table as one of the ‘primary’ sources consulted and tabulated. Download and read Davis’ piece, Kingsley Davis: Population Policy, Will Current Programs Succeed? 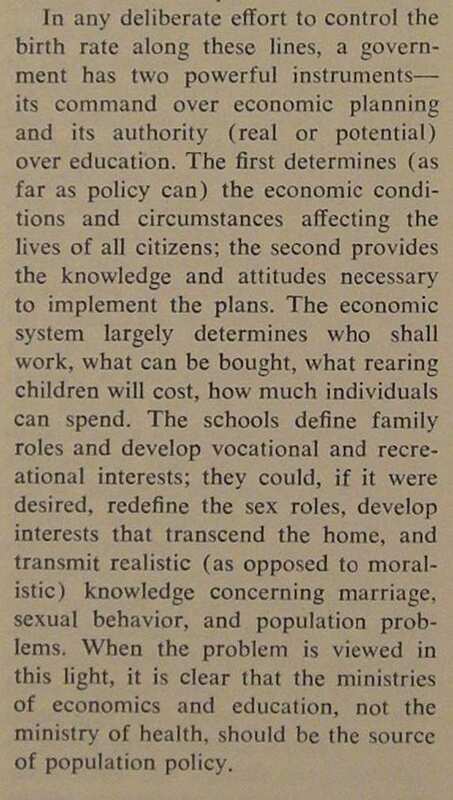 as distributed by The Pathfinder Fund in 1967.